Catherine Warren is the Chief Executive Officer of the Vancouver Economic Commission (VEC), serving Canada’s fastest-growing, low-carbon economy, contributing to a metro region with an annual GDP of $138B and building upon a global brand valued at $32B. VEC is the economic development engine for the city’s businesses, investors and citizens, established to strengthen local companies, attract foreign investment and promote international trade. As CEO, Catherine leads VEC’s expert business and community development officers across the Tech, Digital Entertainment and Green Economy sectors, and its Film Commission and Asia Pacific Centre business units. This close-knit team works collaboratively to position Vancouver as a global destination for innovative, creative, diverse and sustainable development. A veteran in digital transformation, financing and community building, Catherine has lived and worked in Canada, the US, UK and Europe. Most recently, she served as CEO for Great Northern Way Campus & The Centre for Digital Media, Vancouver’s vibrant industry, education and arts district. As an entrepreneur in digital communities, Catherine is the founder of FanTrust, which has spent nearly two decades pioneering digital engagement and business development for global entertainment clients in TV, film, video games and eSports, the emerging professional gaming sector. Prior to founding FanTrust, Catherine was COO of a broadcast tech company that she and colleagues took public on the Nasdaq, growing it to a $300M market cap. Catherine is a member of the international Academy of Television Arts & Sciences – serving on the Nominating Committee and as an Emmy judge – and is a longstanding Executive Board director of the United Nations flagship program World Summit Awards for digital media, which represents the best media from 183 countries dedicated to Sustainable Development Goals. She serves on the board of the national Bell Fund, Canada’s largest private fund for digital broadcasting, with $200M+ invested to date in media for all platforms; and on the Board of DigiBC, the industry association for the world’s preeminent animation and visual effects sector, videogames and digital marketing. 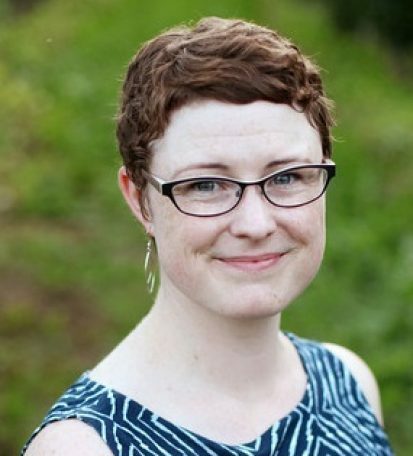 Catherine has a physics degree with a focus on climate change from Reed College, and an MS from Columbia University’s Graduate School of Journalism, where she did her original digital work at MIT’s Media Lab, and won the Correspondent Fund Award to report at CERN, the European Centre for Particle Physics Research. 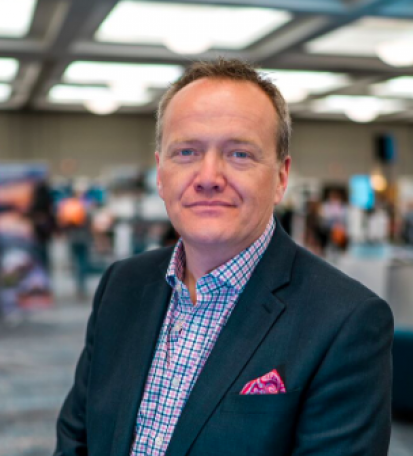 Responsible for driving growth and innovation in Vancouver’s physical film production industry, David Shepheard is Vancouver’s first dedicated Film Commissioner – a seasoned industry leader bringing 18 years of experience as a film commissioner to the table. As head of the Vancouver Film Commission, David leads on investment and programming initiatives related to physical Film & TV production and its associated concerns. Previously, David ran the Film Commission services for Film London, the Capital’s media development agency. Prior to joining Film London, David was CEO of Open House Films in the UK—a consultancy partnership specializing in developing strategies, Film Commissions and Media Development agencies at City, Regional and State levels across the globe. In 2009, the Government of Abu Dhabi recruited David to develop the Abu Dhabi Film Commission, after which David served as its first Director. David serves as a board member for the Association of Film Commissioners International (AFCI), the global membership organization with over 300 members around the world. This is the second time he has been elected to the Board by the membership. As Executive Director of the Media & Entertainment Centre (VMEC), Nancy works strategically to grow and support the screen-based entertainment industries for the City of Vancouver and surrounding areas. Included in her portfolio are features, series, visual effects and animation, games and virtual/augmented reality. Nancy works to deliver on three core mandates: marketing of Vancouver and all its attributes to strengthen its position as a global leader in the industry; advocating to all levels of government on key issues related to growing the industry; and attracting future investment to the entire spectrum of companies that constitute Vancouver’s Screen based entertainment sectors industries. With her move to the VEC in 2011, Nancy brought with her 20 years of experience in the feature film, television and commercial industry in physical production, visual effects and animation. Clients included Walt Disney Studios, Columbia Pictures, Warner Bros, 20th Century Fox, Nike and Mercedes. Nancy currently serves on the Executive Board of (WIA) Women in Animation Vancouver Chapter and as Vice President of the VRARA Vancouver Chapter (Virtual Reality/Augmented Reality Association), and is a member of numerous digital entertainment societies and member-based organizations. A senior executive with more than three decades of experience as a business leader in entrepreneurship, sustainability, innovation, consulting, and economic development. The breadth and depth of his experience includes Global 100 enterprises, entrepreneurial startups, scaling companies and the public sector. At VEC, Bryan has been engaged in leading teams in the knowledge-based, low-carbon, circular economy by leading strategic initiatives, investment, sector development, and programs aimed at supporting innovators, entrepreneurs, investors, businesses, and other stakeholders in the Green Economy, Technology & Innovation sectors. Bryan is actively involved in the Greenest City Action Plan, Renewable City 2050, Zero Waste 2040, Digital Strategy, and Smart City initiatives, and brings the economic opportunity lens to conversations around public policy and program development. From this involvement, Bryan directs the development of programs that support local businesses and promote Vancouver while also understanding how the City can better support innovation and the acceleration to a greener economy. For the last five years, Pietra has been leading sustainable economic development projects at VEC, building the capacity of businesses, academic institutions, private foundations, and community organizations to reach common sustainability and economic development goals. She led the creation of the Flats Economic Development Strategy that demonstrates how a central light industrial district in Vancouver can become an engine of innovation, sustainability, and economic resilience for the city, and oversaw the development of Vancouver’s first Industrial Concierge Service. Pietra’s research and policy advisory work centres around addressing industrial land issues, enabling a more circular economy, and developing meaningful economic development metrics. In addition, she has designed, funded, and managed a number of programs and projects contributing to the development of Vancouver’s green economy, including the Flats Climate Action Program, Upcycle Vancouver, and Startup City Impact. The projects and programs she designs and overseas are dedicated to improving the overall economic resilience of the region. Pietra has contributed extensively to a number of City of Vancouver strategies, including the Healthy City Strategy, the Zero Waste Strategy, the Resilient City Strategy, and the Vancouver Economic Commission’s 2018 Economic Strategy. She has a Bachelor of Commerce from Queen’s University and a Master of Landscape Architecture from UBC. The longest-serving member of VEC, John McPherson works as a Sector Development Manager for VEC and is responsible for supporting cleantech innovators and strengthening Vancouver’s cleantech ecosystem. Part of his role involves organizing strategic events and managing initiatives that address company-related challenges – a large proportion of John’s time is spent managing the Green and Digital Demonstration Program (GDDP). GDDP gives entrepreneurs access to municipal assets and infrastructure for testing and showcasing emerging green and digital technologies. The City then provides GDDP participants a reference and testimonials for companies to use in their marketing and sales efforts – allowing them to attract new investors, partners, and clients both locally and around the world. John is currently scaling up the GDDP into a regional initiative and is working with regional asset owners including YVR, the Port, and Translink. The initiative, called the Tech Deployment Network (TDN), will also be used as a platform to attract investment and business to the region. John has previously held senior marketing and sales roles in the private sector and started his career in Hong Kong as an Assistant Trade Commissioner. 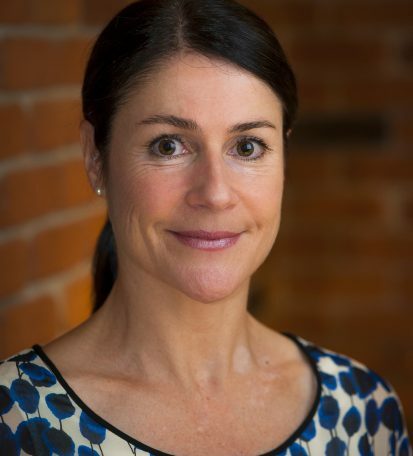 Meg joined the VEC in 2016 to further develop Thriving Vancouver, the VEC’s platform for engaging businesses in tackling social and environmental challenges. In 2017, her mandate expanded to include the role of Manager, Small to Medium Enterprises in which she assists Vancouver’s smaller businesses with a variety of needs, such as navigating City of Vancouver permitting, connecting to VEC programming and other support organizations, and connecting to one another. She is passionate about leveraging the power of the VEC to help local businesses flourish. Meg is a skillful community builder and relationship manager. 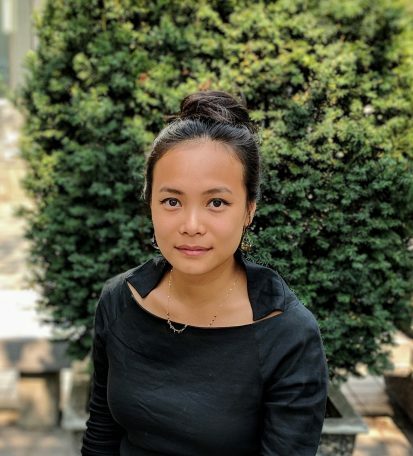 Her broad training and experience reflect her persistent curiosity and adaptability: she has a Bachelor of Sciences in Chemistry, a Master of Arts in Dance, and a PhD in Environmental Studies with a focus on community-scale collaboration for sustainability solutions. She has supported transformation in many arenas, including the commercial sector, the circular economy, higher education, performing arts, and community-based initiatives. Peter has over a decade of experience in strategy, client relationship management, and economic development, as well as graduate degrees from both SFU and UBC. In his role as Business Development Officer, Peter provides on-going direction, support, intelligence, and analysis for Foreign Direct Investment Leads. Much of his work with the VEC concerns attracting and assisting international companies as they consider the Vancouver market. 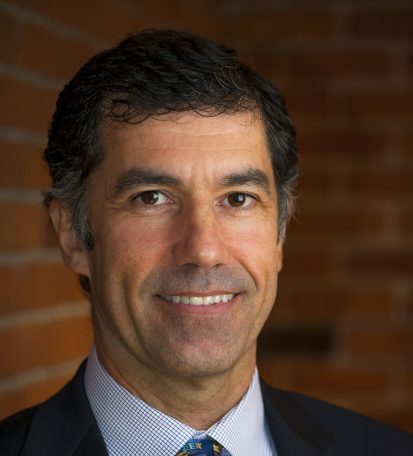 As such, he has worked extensively with all levels of government and the private sector, often partnering with other Metro Vancouver economic development agencies on joint presentations, value propositions and information sharing. Peter plays a key strategic and collaborative role both internally within the VEC, as well as externally with partners in the public, not-for profit, private, and academic sectors, both nationally and internationally. He has been chiefly responsible for producing many FDI proposals that have led to jobs being created and money being invested in Vancouver, including Fujitsu, Maple Leaf Education, Class Method, CoMedia, F-Com, and Zhiye. Juvarya is an economic development specialist with an MBA in strategy and over 20 years’ experience in business, government and environmental non-profits. Since 2010, Juvarya has led VEC’s green economy and economic transformation programs. With the intention of focusing VEC’s efforts on real business impact, Juvarya’s team works to achieve four economic transformation objectives: increasing adoption of smart city technologies; enhancing industrial performance; enhancing small business performance; and delivering innovative economic development strategies. The team’s initiatives have successfully grown Metro Vancouver’s green economy, contributed to a sustainable region and spurred economic resilience. Juvarya’s own work includes creating cutting-edge green economy strategies and metrics, and economic transformation within the high-performance building sector. She previously contributed business and economic analysis to inform building policies and regulations across Metro Vancouver. Collaborative and cross-disciplinary by nature, Juvarya has worked in partnership with municipal, regional, provincial and federal governments, as well as organizations like GLOBE Series, the Canada Green Building Council, Discovery Foundation, ICLEI, C40, the Urban Sustainability Directors Network and the Urban Land Institute. 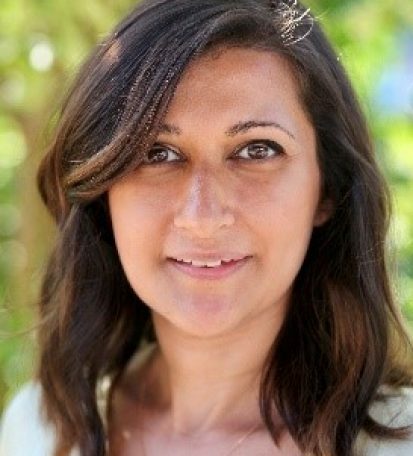 Juvarya is the lead author of several high-impact reports, including State of Vancouver’s Green Economy 2018, and she contributed to the City of Vancouver’s Passive Design Toolkit for Homes and the Urban Land Institute’s Resilience in Fort Norfolk: Assessing Risk and Protecting Value. Joan Elangovan is the founding Director of the Asia Pacific Centre at the Vancouver Economic Commission, dedicated to strengthening business and cultural ties with the Asia Pacific Region. She works closely with investors, entrepreneurs and governments locally and internationally to facilitate the convergence of innovation, capital and market opportunities. Prior to joining the Commission, Joan was a senior executive with the Government of British Columbia, Canada. She served as Chief Strategy Officer, Assistant Deputy Minister, Executive Financial Officer, and Chief Information Officer among other management positions. An experienced strategist and negotiator, Joan has significant expertise in public policy, strategy and stakeholder relations in a range of sectors including international trade and investment, technology, health, natural resources (forestry), justice, and education. Educated in Canada and China, Joan holds a Master of Engineering degree from the University of Toronto. She is also a graduate of executive programs from Queen’s University (Smith School of Business) and University of British Columbia (Sauder School of Business). Joan serves on the Board of Directors of Arts Umbrella (Canada’s premier arts education institution for kids), the Vancouver International Film Festival Society (VIFF), and the Canada China Business Council (Vancouver). She is a past member of the Shared Services Board of the Province of British Columbia and the Audit Committee of the Forest Innovation Investment Corporation. Sandy Song is the Business Development Manager at Vancouver Economic Commission’s (VEC) Asia Pacific Centre. She is responsible for building and strengthening ties with markets, customers and investors in the Asia Pacific Region. She specializes in attracting business, investment and talent to Vancouver, and supporting Vancouver-based companies to expand their businesses to the Asia Pacific Region. 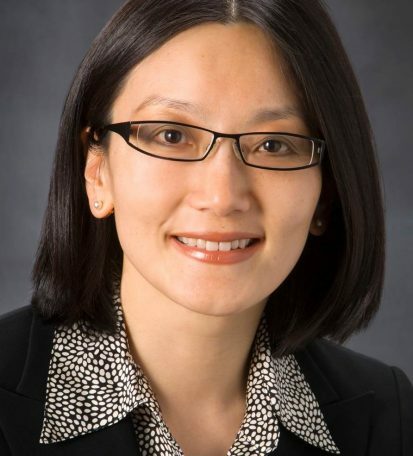 Prior to joining VEC, Sandy Song served as an in-house lawyer for Industrial and Commercial Bank of China (ICBC), China’s largest multinational bank, where she was recognized with the “Most Outstanding Team Member” award. She also worked as Director of Corporate Financial Services and Private Banking Services in the ICBC Vancouver office. 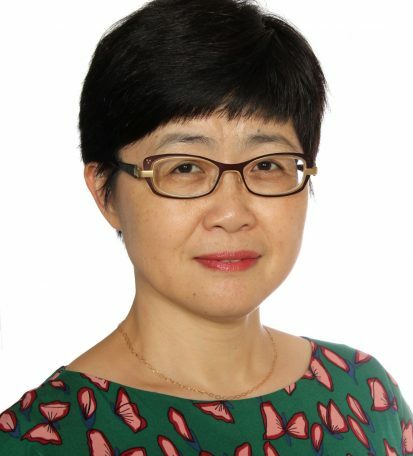 Sandy Song obtained her Bachelor’s Degree from the China University of Political Science and Law, and holds an MBA from The University of Hong Kong. Tania joined the Vancouver Economic Commission (VEC) in August 2011 in the role of Manager of Communications, Marketing & Sponsorship. In 2014, she was appointed to the position of Director, Marketing & Research, and subsequently built the organization’s marketing, communications and research capacity and team to what it is today. Under her leadership, the Marketing & Research team manages the VEC’s brand assets, conducts research to inform and support VEC’s strategic direction and projects, and generally works to position Vancouver as a globally recognised city for innovative, creative and sustainable business. As the in-house graphic designer, Claire is responsible for all things visual, ensuring that anything that goes out the VEC’s doors is on-brand, professional, and visually appealing. Whether working in digital or print mediums, Claire is pivotal in making VEC’s communications, research, and marketing campaigns both understandable and engaging. Claire also manages the website and works to ensure that is a resource both fresh and up to date. In addition to her graphic and web design work, Claire also provides events support, assists in the creation of FDI packages and presentations, and participates in strategic brainstorming for VEC-driven programs and projects. 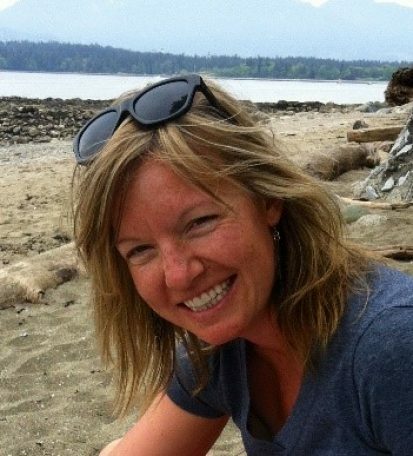 Prior to working for the VEC, Claire was an assistant project manager for Club Penguin (a Disney-owned tech company in Kelowna) and finished her Bachelor of Management at the University of British Columbia. Graphic and web design has always been one of her passions and she loves that she has been able to incorporate her design skills into her daily work. An engaged and dedicated research and project management professional, Courtney has been with VEC since 2016. From that time, she has led numerous innovative engagement campaigns designed to connect local and international communities with VEC initiatives, programs and events. This includes managing the Vancouver: It’s Your Move to Make international talent attraction campaign, conceptualizing and launching VEC’s quarterly newsletter (The Lens), and strategizing online engagement opportunities for VEC events. 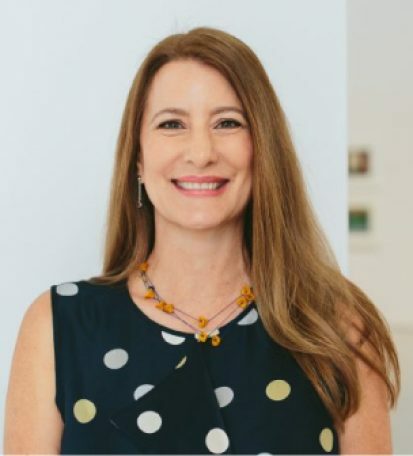 Courtney is also responsible for conducting key research to support and give foundation to a variety of VEC initiatives, as well as designing and implementing the organization’s new customized CRM system. Courtney holds a Master’s degree in Marketing & Business Analysis from the University of Edinburgh and a Bachelor of Commerce degree from the University of Victoria. Prior to her role with VEC, she worked as a Research Analyst with TuGo and as Research Team Lead at Colliers International Vancouver. Katrina’s service-oriented and consummate professionalism, result-driven attitude and ability to multitask and adapt has made her indispensable in the role of Manager of Events & Sponsorship. On top of many years in the tourism and hospitality industry, she brings to the role a dozen years of program and specific experience having worked with many Fortune 500 companies, the 2010 Olympic Winter Games, and numerous corporate partners during her time with the VEC. Katrina has been responsible for much of the logistical coordination and execution of many of VEC’s flagship regional programs and projects and various delegations abroad. In her role, she champions the quality and standards of all VEC missions, delegations and events, and liaises with external stakeholders to ensure consistency of objectives, requirements and expectations, and ultimately first-rate delivery. As the manager of sponsorship, Katrina has been pivotal in structuring the VEC’s corporate sponsorship strategy, building and managing the pipeline of corporate sponsors, overseeing the partnership agreement process and leading the planning and execution of sponsor deliverables. James Raymond graduated from one of Europe’s Top 10 Business Schools. His educational background is augmented by more than 15 years of experience working in public, private and non-profit sectors for leading-edge organizations. His eight years of experience collating, analyzing and presenting data on Metro Vancouver’s economy makes him an invaluable resource on Vancouver’s economic sectors, its talent and capital inflows, and its global brand. James plays a key strategic and leadership role both internally within the VEC, as well as externally with senior-level stakeholders across the private, public, philanthropic and academic sectors—nationally and internationally. He leads VEC’s economic research through monitoring trends and economic and political developments, forecasting major economic indicators, developing publication products, communicating the results of analyses, and ultimately providing the research integral to informing VEC positions on issues of economic impact and development. James led the regional Metro Vancouver bid for the Amazon HQ2 project, with the proposal directly resulting in an additional 3,000 Amazon jobs for the region. He has also been responsible for producing many other FDI proposals that have led to thousands of jobs being created in Vancouver, including Fujitsu, Samsung, Intel and Double Negative. He is passionate about truly sustainable economic development, and strives to establish Vancouver as a role model for other cities and regions to follow. Ingrid is the VEC’s chief copy writer, editor and media wrangler. She also provides strategic public relations advice and support to both VEC and its external partners, including members of the local startup community. As VEC’s primary press contact, she briefs spokespeople, prepares notes and speeches, and project manages the VEC’s media events, including two international media tours with focuses in VR/AR and Artificial Intelligence. She also manages VEC’s social media accounts. 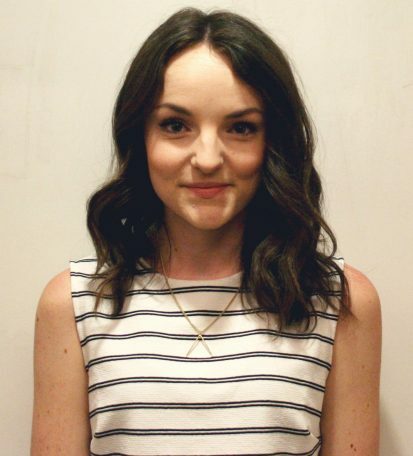 An award-winning public relations professional, Ingrid designed and project managed prize-winning PR and marketing campaigns that have been recognized by the Canadian Public Relations Society (Vancouver) and STORYHIVE. Ingrid completed her Bachelor of Arts in Anthropology and Creative Writing at the University of British Columbia and a Public Relations certificate at Simon Fraser University. Ingrid represents the VEC on the City of Vancouver’s External Advisory Committee for the Creative City Strategy. Outside of her role at the VEC, she runs a small jewellery design business out of her East Van studio and is an active performer in the local music community. She also serves on TomoeArts’ Board of Directors. 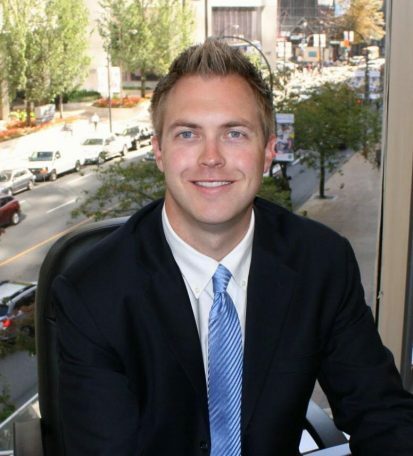 Eric Unmacht is the Manager, Communications and Strategy for the Vancouver Economic Commission (VEC). He is passionate about using his skills and experience to create healthy workplaces, as reflected in his current status as MEC’s Director of Sustainable Business Innovation. Previous to his work with the VEC, Eric worked with Patagonia and Lululemon in marketing and corporate responsibility, World Wildlife Fund and IUCN in stakeholder engagement and was a print and radio journalist in the U.S. and Southeast Asia. He holds graduate degrees in journalism and environmental sciences and policy from Columbia and Johns Hopkins Universities, and a graduate certificate in organizational design and development. Eric is currently also an instructor in content strategy at UBC’s Sauder School of Business.